Despite yesterday's referendum being on exactly the same Treaty already rejected this year in Ireland, the Irish have been conned into believing the "guarantees" they have been given that the Treaty will be changed are legally binding when they are nothing more than the crooked words of crooked eurofederalist politicians. This time, the "no" campaign was given less media coverage than the "yes" campaign after regulators in Ireland said that it was legal for broadcasters to be biased towards the Irish government's campaign. The Lisbon Treaty is unlawful in this country as it binds future parliaments - something that is illegal under English law - but our corrupt, politicised judges will never stand up to their political masters. Camoron will be breathing a huge sigh of relief this afternoon that the Lisbon Treaty will most likely be ratified by the time of the next election and that he won't have to pretend not to want it. Once it is ratified, the Lisbon Treaty can't be modified or repealed by our own parliament. 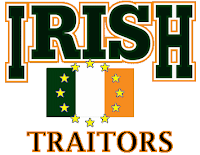 The only way to rescind it will be to leave the EU and once the Lisbon Treaty is in force, leaving will require the unanimous agreement of our "partners" in the European Empire and a two year cooling off period. They will never agree so we will be in for a fight - perhaps even the threat of troops on our streets from the EU national army that Lisbon will create or the arrest of any politicians involved in leaving by the EU police force that Lisbon will create. But the only way we will ever be rid of these fascists is by voting UKIP - the only party that is committed to leaving the European Empire ... with or without their permission. This strengthens the UKIP case in the General Election 2010. Only UKIP definitely promises a referendum on the new EU treaty. The Conservatives might have a referendum. But then they mignt not.